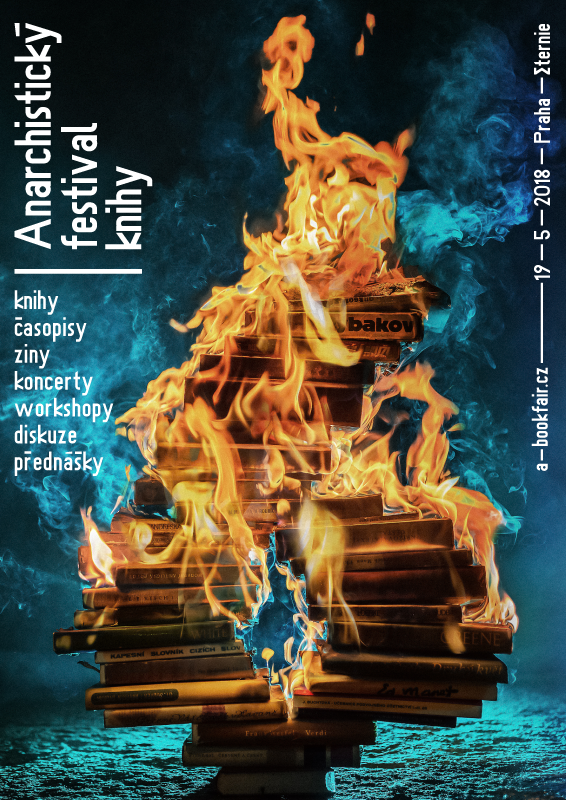 6th Prague Anarchist Bookfair take place on May 19th since 10:00 till 20:00 in Eternia. Prague Anarchist Bookfair became solid local event with hundreds of people coming from all kind of backgrounds, not only from around anarchist and antiauthoritarian circles. It consists of presentation & selling of anarchist and antiauthoritarian literature of different kinds and lecture and workshop part. Whole event is DIY and non-profit. We take no charge for stall and if needed, we should be able to help active participants with travel costs.